PROTECT YOUR BUSINESS WITHOUT HIRING A LAWYER! Many lawsuits arrive in court because of the lack of understanding between the parties. Many times clients have a vision of what they are to receive than what you have explained in person or over the phone. With a contract, the client is not left to wonder. The details are in black and white. Ultimately, having a contract makes the terms of agreement concrete and less open to the imagination of the client. Certainty of terms leads to greater profitability down the road. Let’s face it, despite the grandest of plans and the greatest of romances, there are some couples that get cold feet and decide not to go through with the marriage. This is the nightmare scenario for both the wedding professional and the client! The biggest reason – you don’t have a chance to showcase your creative skills and execute the perfect wedding. The other reason – money. Just because the clients decide not to go through with the wedding doesn’t mean you didn’t make your own sacrifices. You’ve probably already spent countless hours and significant money getting the event ready. 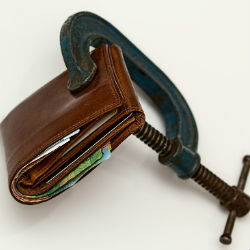 Having contract language that protects your money in the event of cancellation is a must. 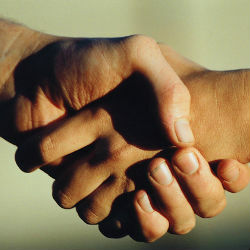 One of the great myths about business is that successful business people work simply with a handshake. In fact, the truth is quite the opposite. Studies indicate that small business contracts are equated with professionalism. Contracts indicate that you’re a person who is willing to stand behind your work. Clients certainly appreciate that. As a wedding professional, you have certain duties that you must perform. The client has similar obligations – specifically to pay you for services rendered. Having contracts allows each party to know exactly what they need to do, when they need to do it, and how they must do it. 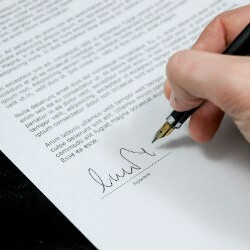 Written agreements create certainty of expectation. Having this certainty is especially important because the nature of an event or wedding is chaotic – so give yourself the gift of less stress! Because you’ve signed a contract with clear payment terms, you know exactly when you should be getting paid and how much. Perhaps you’ll even set milestones with the client. This helps the client feel reassured that you have their best interest at heart because you’re meeting mutually agreed goals. In other words, you both have skin in the game. You retain the certainty of being paid upon completion of certain tasks and by certain dates. Is Someone Else In Control Of Your Business? You’ve worked very hard to build a wedding and event business because you’re passionate about providing your clients the very best experience. Whether it’s a wedding, Sweet 16, or other milestone, one thing you can’t overlook is protecting your business. Often, things don’t go as planned despite your best efforts! Weddings and other events are fraught with risk for you as a wedding professional. 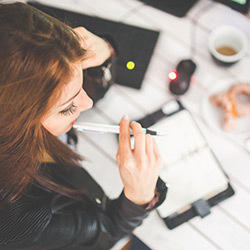 Protecting your business is a vital step towards expanding your business, and even if your goals are modest, the right move is to always have a written contract with your clients. In the past, you’ve probably thought about getting a lawyer to help draft your contract. But then you threw up in your mouth a little bit. Lawyers are expensive. They bill by the hour. They charge for charge you for blowing their nose. They can be cold. They may not have the experience with wedding and event based businesses to protect you in the way that you feel that you should be. This is why WedFormz was created. 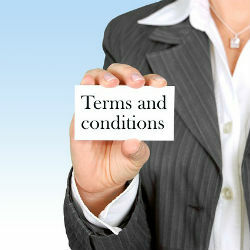 WedFormz is the go-to place for easy, legally binding contracts that can protect your business. WedFormz contract templates were drafted by ‘Wedding Lawyers’ that have years of experience dealing with the ins and outs of the wedding and event industry..
What are the benefits of WedFormz contract templates? WedFormz’s contract template library contains nearly every type of client contract needed for your wedding and event business. Check out the various offerings and you’ll notice how easy these contracts are to create and execute.